If your organization has purchased HR software but opted to maintain separate payroll software or maintain third-party payroll, you can benefit from making the change and integrating the payroll with your Chatbot & AI enabled HR Software in Pakistan. While it may be difficult to change the processes that seem to work well, you may be surprised at the benefits that integration can have. 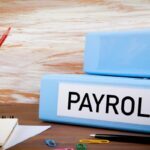 The following are some of the advantages you can expect to see when you decide to integrate payroll with your other HR functions. 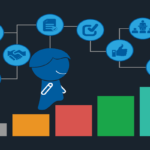 If your payroll software is connected to your time and attendance tracking, employee database and other information software’s, information can be moved back and forth in the software without the need for double data entry. Much software’s even automatically updating all the affected information when changes are made to a part of the software. This eliminates tons of work, saving hours of work and reducing the propensity to errors. Find the Payroll Software solution that adapts to the needs of your business! The organization’s data grows daily, so it can be difficult to group the relevant data to obtain actionable information when using different payroll software. Having all the information available within the HR means that reports can use that data and cross-reference other data to compile analytics that can be used for improvements. Chatbot & AI enabled Cloud Payroll Software in Pakistan automatically help with the administration of overtime, attendance records, and taxes. The software can send alerts when some aspect of the payroll or the workforce runs the risk of not complying and can automatically extract the necessary data for the reporting requirements. This can help save time, reduce headaches and, possibly, save money on fines that would have been applied for noncompliance. If some aspect of your payroll is still done with paper, payroll integration with your HR can help reduce paper loading. This can reduce clutter in the workplace and can reduce the overall impact the company has on the environment. Environmental benefits can be substantial over a long period of time when documentation and related storage are not necessary. When time and attendance, payroll, employee records and other needs related to human resources are managed through a single interface, you can improve communications and teamwork. A manager or HR professional can make changes in an area, even taking note of the reason for the changes, and others can see that change when they enter the corresponding area. This can help eliminate confusion and simplify making changes and correcting errors. When the payroll is integrated with an HR that has self-service options, employees can view their payroll information in their free time. Chatbot & AI enabled Attendance Software in Pakistan allows them to verify the accuracy, know how much they will charge in advance and retrieve the historical payroll data when necessary. Allowing employees to access their own payroll information can save time for HR professionals while empowering employees. How to Streamline Chatbot & AI enabled Payroll Software in Pakistan?